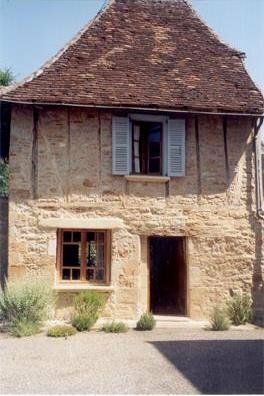 Description of Property: The house is a detached colombage and stone cottage, which is very old in origin. It is in a small cul de sac in the village centre, which makes it both quiet but also very convenient for the shops etc.. It has a pretty walled garden which is fully enclosed and has a lawn, flowers & trees & a patio area. There is parking in front of the house. It contains a large combined kitchen, dining & sitting room on the ground floor, with French doors onto the patio & garden. On the 1st floor there is a double bedroom and a twin bedded room. There is also a bathroom on the 1st floor. It has electric heating upstairs & a wood-burner downstairs. The kitchen and bathroom are recently fitted, and have, respectively, a conventional cooker, a microwave, a fridge/freezer & an automatic washing machine; and a bath with shower over. There is a cot available. The beds are provided with mattress covers, quilts and pillows, but bed linen is not included in the rental cost. There is a television in the living room, and a telephone point, so that broadband internet connections are available. Generally, the house has been refurbished to a modern standard whilst trying to show as much of the original building as possible. Outside Amenities: There is a pretty lawned and walled, enclosed garden with trees and shrubs, with a patio area. Garden furniture and a barbecue are provided. Surrounding Area: Vayrac itself is in a beautiful spot with lovely views over the valley to the cliffs opposite. The village, although small, is equipped with shops such as three bakers, (one of which is a patissier/chocolatier who makes the best croissants for miles around), two/three butchers, two grocers/small supermarkets, a wine and cheese shop, a newsagents/tabac, a couple of banks and two pharmacies all within walking distance and it is possible to do all your shopping without driving elsewhere. There is also a good twice weekly market in the main square where fresh fish, meat and vegetables, cheeses etc. can be bought. Vayrac has a pizzeria, a small, local restaurant, and 2 or 3 bars. There are numerous other places to eat within a bike ride or a short car journeys distance. On a more mundane note, there is a doctor and a dentist in the village, should the need arise, apart from the two pharmacies. There is also a cinema. We have lived there ourselves and have found the people very friendly and welcoming. The nearby small towns of Bretenoux & St Cere both have local markets twice weekly, and have a range of other shops & larger supermarkets. For more serious shopping, there is Brive about 30 minutes drive, or Cahors about 1 hour drive away. 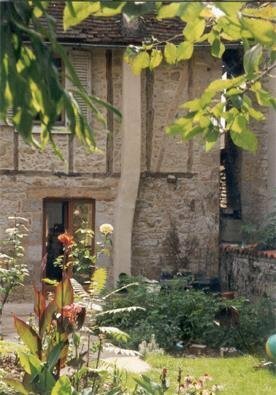 There are cinemas in Vayrac, Biars/Bretenoux and St Cere which show both American and European films, and there is an art gallery in St Cere. There is a Parc Aquatique with a huge open air swimming pool with picnicking areas & a restaurant on site between Betaille & Carennac, which is less than 10 minutes away from the house, or there is a smaller public outdoor pool in Vayrac itself. Both bicycles and canoes can be hired at the local camping centre near the river bank in the village. It is a lovely area for walking or cycling at any level of difficulty, either along the valley or climbing to the cliffs and gorges on either side, giving access to some spectacular views – local walking maps are available for your use whilst staying in the house. The famous sites of Rocamadour & Padirac are within half an hours drive, and there are numerous vineyards to visit in the Lot, as well as one nearby in the Correze. 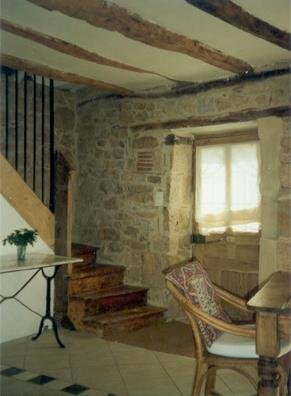 If you are touring by car, then the western Dordogne valley with all it’s chateaux and towns is easily reached, as are the Auvergne, the Correze, the caves at Pech Merle & les Eyzies, etc..
Wood burner in the living room, fitted electric heating in the bedrooms and bathroom, and both a gas heater and a modern electronically controlled petrole heater are provided. Although we do allow smokers and pets we make a very strong request that tenants exercise responsibility in leaving the house and garden clean and smell free when they leave! Pricing Info: Winter and long term rentals are based on a calendar monthly rent with all bills for utilities extra. We can provide or arrange for logs and linen at an extra charge. 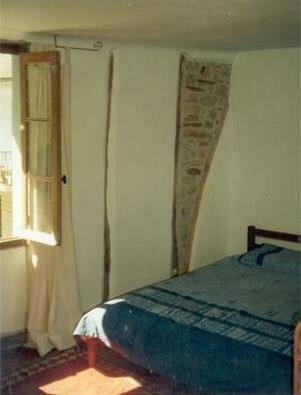 Payment in euros each month in advance is usual, with an extra months rent paid at the beginning as a security against breakages and outstanding bills at the end of the tenancy. A booking deposit is requested immediately on making the reservation, but the amount varies depending on the length of the intended stay.